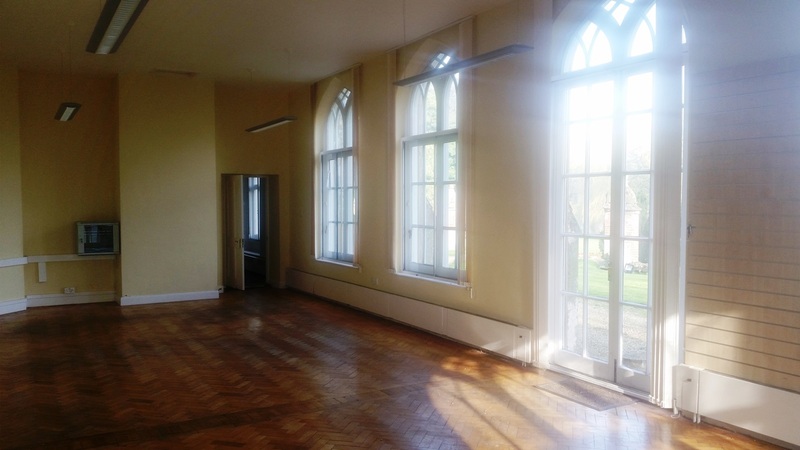 Bright and airy with uninterrupted views across the front parkland this office space makes an ideal studio. 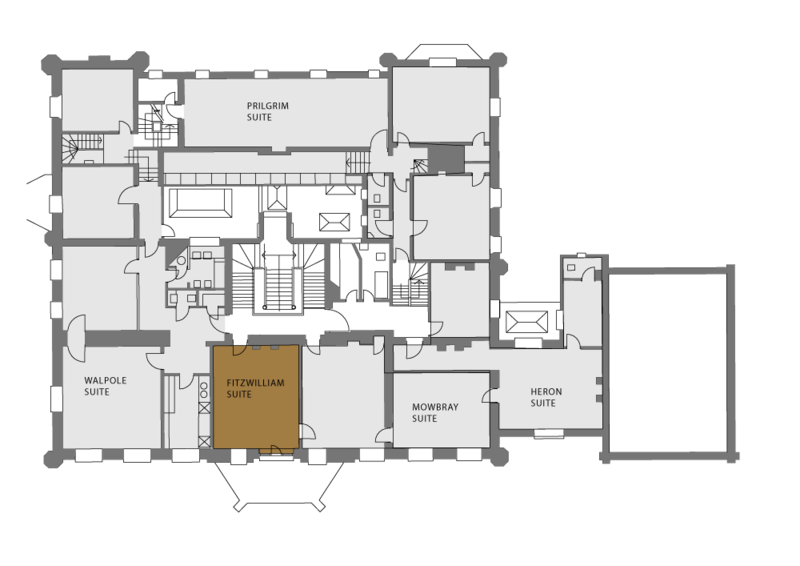 A first floor suite, it is located at the top of the main staircase. The large double height stained glass window projects beautiful colours and patterns onto the walls giving a stunning accent. It consists of single office with balcony overlooking the front parkland and drive with views of the cricket ground and pavilion. 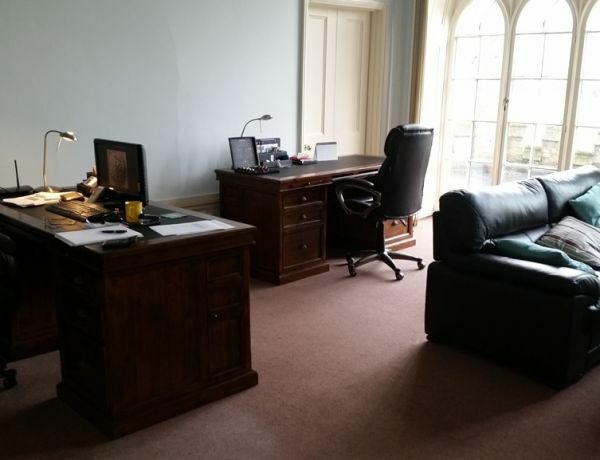 At 32 square meters this suite makes for a cosy office space, ideal as a studio for a small team of two or a sole trader. It shares the kitchen and toilet facilities with the adjacent suites. Floods of natural light penetrate the room through the large full height windows and the doors that open onto the balcony, positioned directly above the entrance. A bright and airy work place, this office is full of life and energy.